Having a crooked smile is not always a source of low self-esteem. But if your crooked teeth are making you hide your smile, causing you to feel self-conscious or causing problems with your chewing, speaking or oral hygiene, you likely need to visit your West Hollywood orthodontist. The orthodontist of West Hollywood Holistic and Cosmetic Dental Care is conveniently located in the same office as where you go for holistic dentist visits, as well as where you can talk to the highly experienced cosmetic dentist about your goals for your smile. Together, these professionals can develop a treatment plan that includes teeth straightening or other services you need to give yourself your best smile and most functional oral structure. If your bite is not functioning as it should, you have malocclusion. Maloccluded teeth include conditions of underbites, overbites and crossbites. They are more likely to suffer damage and you are vulnerable to development of jaw joint disorders, or TMJ. Misaligned teeth are also a problem for oral functioning and health. Crooked teeth, improperly spaced teeth or those that are not properly aligned can lead to many problems. You may struggle with difficulty in your daily oral hygiene, plaque and tartar buildup, decay and gum disease. Of course, you are likely also not as proud of your smile as you could be, with better alignment of your teeth. Whether you have a maloccluded bite or misaligned teeth, you can be helped by the orthodontics professional of West Hollywood Holistic and Cosmetic Dental Care. There are multiple orthodontic treatments that may benefit you. The caring orthodontist will work with you and your holistic dentist to develop a treatment plan that will take you to the smile you have always wanted. The West Hollywood orthodontist will first provide a comprehensive evaluation to determine your orthodontic needs. He will examine your bite, gums and teeth. The orthodontist will also likely take dental X-rays, images or impressions of your teeth and bite. Upon determination of your best treatment options, the orthodontist will explain those to you. He can help you make the right decision for yourself or your child. How long does West Hollywood orthodontic treatment take? Orthodontic treatment may be as short as six months, or as long as several years. How long your treatment lasts depends largely on your individual needs, procedures and treatments used to correct your dental problems, and the severity of those problems. Of course, you are a major part of the treatment progress. Patients who follow the orthodontist's recommendations will gain better and more efficient results than those who apply less attention to their own orthodontic treatment needs. While you are receiving orthodontic care, it is very important to continue exercising good dental hygiene. You may have to slightly alter how your dental routine is conducted, such as through use of special flossing tools or floss threaders, if you have braces on your teeth. However your daily oral health care is practiced, it is important to remove all debris and buildup of plaque between teeth. While it is more difficult to clean your teeth when you have braces, the end results will be worth the slight adjustments you have to make. Straight and properly aligned teeth are easier to keep clean and are at less risk of tooth decay and periodontal disease. Aligned teeth are also less likely to stress your jaw and chewing muscles, cause headaches from this stress, result in TMJ, or lead to conditions of neck, shoulder or back pain. A straight, properly aligned smile is more than just beautiful. It is also a pathway to better health. Your mouth will be healthier, your appearance more pleasing and your teeth will be more likely to last a lifetime. Your West Hollywood orthodontist has received three years of additional, specialized training beyond dental school. He is particularly skilled in finding the root causes of your malocclusion or improperly aligned teeth. He then develops a plan to fix those problems so you can have the smile and bite you have always wanted. Orthodontic treatment will also improve your face shape as your teeth and bite are corrected. There are many types of orthodontic appliances that may be used as part of your individual treatment plan. These may be fixed or removable. Devices like these work to help move your teeth, retrain your muscles and influence how jaws develop. Each of the devices apply gentle pressure to your teeth and jaws to move or retrain them slowly over time. 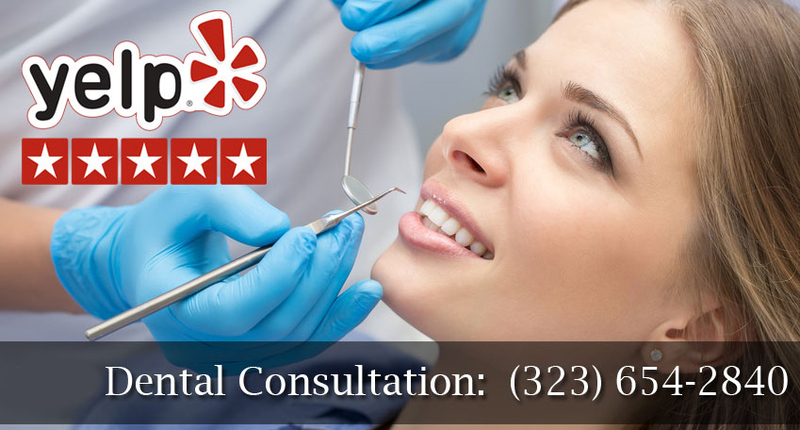 To find out how the West Hollywood Holistic and Cosmetic Dental Care may straighten your smile and properly align your bite or correct other advanced dental problems, schedule an evaluation appointment today.